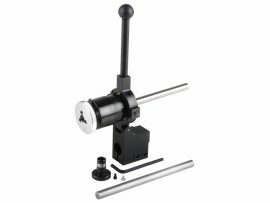 View cart “Lever Collet Closer” has been added to your cart. 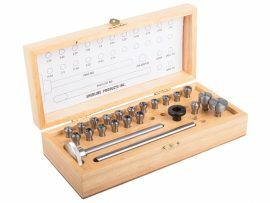 Collets provide a quick, easy method of mounting cylindrical parts or bar stock in the lathe with a great deal of centering accuracy. Each collet is actually a small, precision 3-jaw chuck that fits into a special tapered adapter in the headstock. A drawbar that passes through the headstock and threads into the back side of the collet is used to draw the collet up into the tapered adapter. 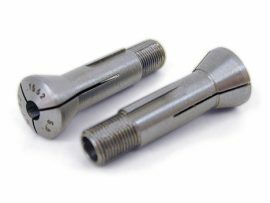 The adapter causes the jaws of the collet to close down, gripping the part to be machined. Typically, collets provide a very accurate part mounting system, but each size collet can accommodate only a small range of diameters of approximately ±.001″ (.02mm). WW collets differ from milling collets in that they have a hole all the way through the collet and drawbar. 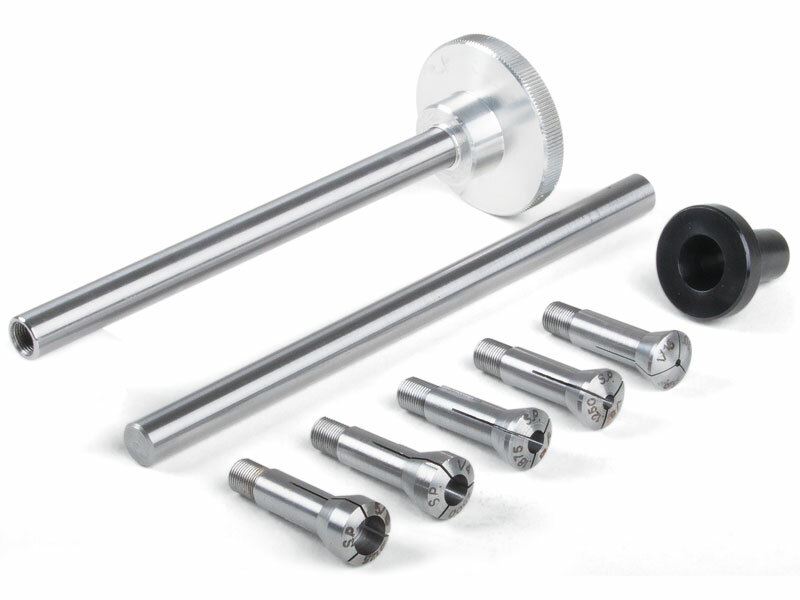 The maximum diameter stock that can pass entirely through the collet is 3/16″ or 4.5mm. The WW collets that are larger than this diameter are sometimes referred to as “pot” chucks. The Sherline WW collet set includes a WW style collet taper adapter, a drawbar, and a set of five WW collets. These collets are manufactured by Sherline and are built to standard WW specifications, however, we have come across collets that are called WW and will not fit our drawbar and adapter. Be sure to check WW collets made by other manufacturers to be sure they fit our adapter before you purchase them. Sherline manufactures a slightly larger .315″ adapter and drawbar set that will accommodate some of these other brands. Sherline also offers sets that include a wider selection of collets. It includes 17-inch size collets from 1/16 to 5/16″, while the metric set includes 14 metric collets from 1.5 mm to 8.0 mm. These sets come in an oak box with a divider that has extra holes for more collets should you add them later. It also includes a drawbar, collet adapter, knockout bar, two collet pot chucks and a collet blank. The largest set we offer includes 78 collets from 0.3 mm to 8.0 mm by 0.1 mm increments. 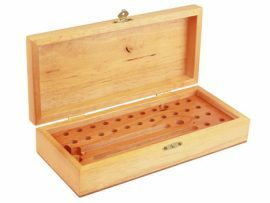 This comes in an oak box with 96 holes in case you add some inch sizes but does not include the adapter, drawbar or other accessory items in the sets described above.